While most coffee farms bring in Ngobe Bugle workers from the Comarca to pick, we rely totally on our Ngobe Bugle neighbors, some of whom have been picking for us since we bought the property in Palmira. Melida has picked for us since our first harvest. This is Milton and this picture was taken when we first bought the farm. Milton was the first friend we made in Palmira. A young kid who loved interacting with us and following Nikki around. This is Milton today in the orange shirt! Picking for us and hefting 60 to 80 pound bags of coffee above his head like they were bags of pillows. 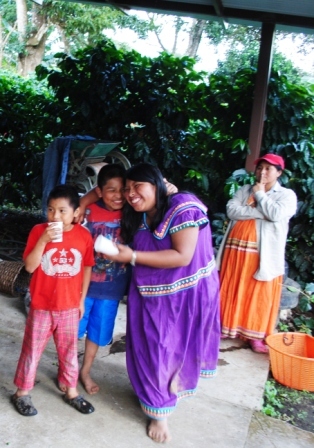 On our farm picking coffee is a family affair. 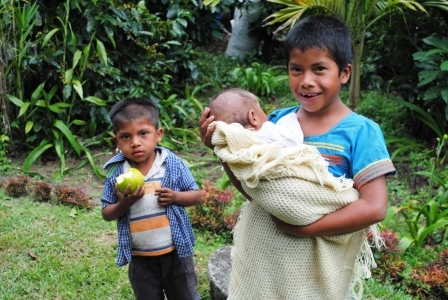 By law children cannot pick coffee in Panama. But what are you going to do, leave your children at home unattended? So the whole family comes to pick: dogs, babies, kids, parents. Infants are generally hung in a tree in a white coffee sack while mom picks. The kids play in the coffee bushes, hide and seek and a zillion games children can still make up if they don’t have Ipads and computer games. The kids run around barefoot through leaves which we know have at times poisonous snakes. 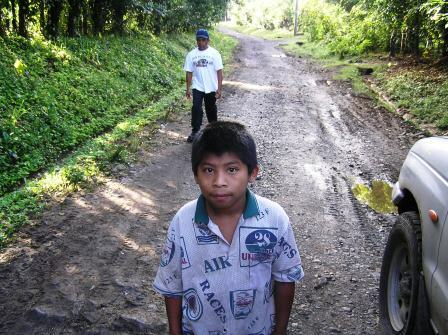 But these are Indigenous children who have been running around through the leaves in Panama since before Columbus. 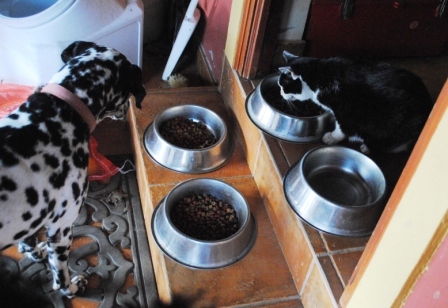 The older kids more or less look after their siblings. Nikki’s own little twist is to celebrate the end of the day with big bottles of Coke appointing one very officious, proud little kid as the “Coca Cola Jefe” [or Coca Cola Boss] who gets to serve everyone. So this is what our good coffee looks like . 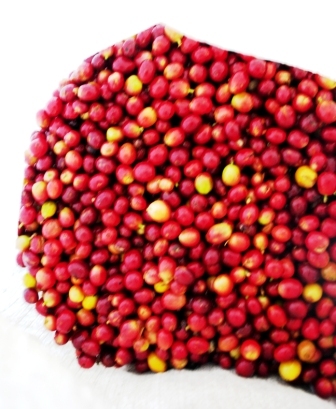 . . all these beautiful red coffee cherries ready to be sold to the beneficio which will process them and eventually send them around the world. 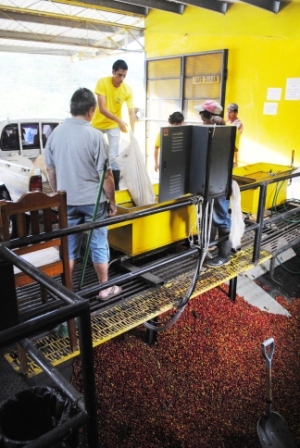 The yellow cherries are also ripe and are a particular strain of Arabica we have that turn yellow when ripe. 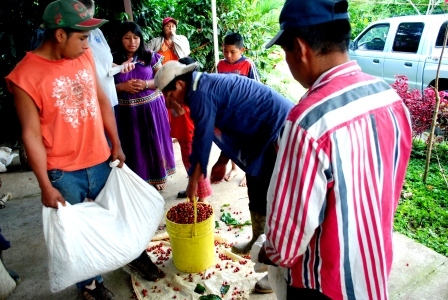 Once the pickings are all counted and bagged they are loaded onto the truck to be taken to the beneficio to be sold. We are getting $6.60 per Lata, of which $2.25 goes to the picker, about $2 goes to fertilizer, chemicals, new plantings, and about $2 goes for labor, so roughly we net 35 cents a Lata. 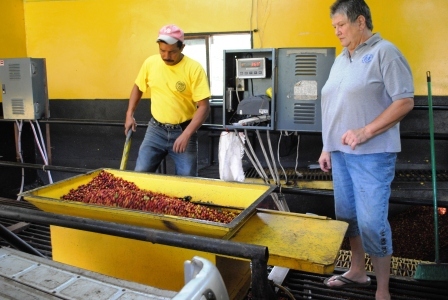 If a Lata may end up as 10 pounds of coffee that sells in the US for $15-18 a pound – you can see the money is NOT in growing coffee. 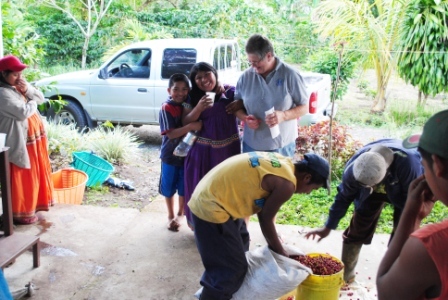 At the beneficio our coffee is mixed in with the coffee of all our neighbors, little farms who could not possibly afford the very expensive branding and marketing schemes of the likes of Fair Trade, Bird Friendly Coffee, Rain Forest Alliance, yada yada. 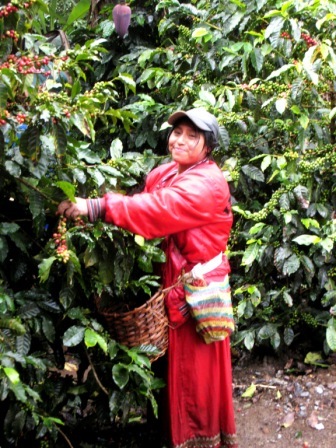 But Boquete produces some of the best coffee in the world, specialty coffee, Geisha coffee and others. Coffee, like wine, has an amazing variety of flavor and taste . . . and we are proud to be a part of the coffee culture of Boquete and helping to preserve something that we hope will endure. 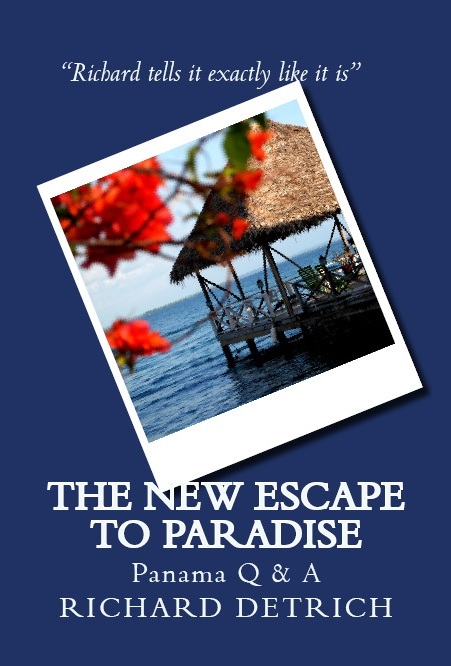 The coffee is my wife’s retirement project: cruising the Seven Seas is mine. People always ask if we “make money” on coffee and I reply that it is a “hobby farm” meaning that my wife promises me that someday we will break even. Every night folks bring in their coffee. 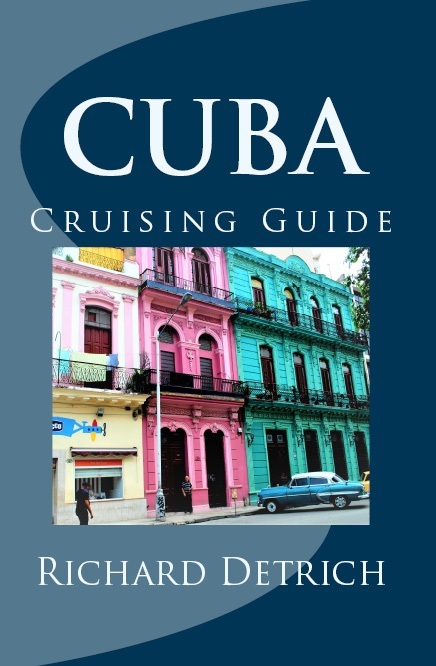 Some folks bring 100s of bags, others a half-dozen, and some may come in a taxi with only half a bag. It all gets mixed together and eventually goes around the world. A lot gets sold to Starbucks which uses our flavorful coffee to boost the flavor of their various blends. So if you’re in line at Starbucks, know that perhaps every billionth bean is from our farm.